Twin Peaks is the only thing I can think about lately. Twenty-five years later, Laura and Cooper did see each other again. And so did we. 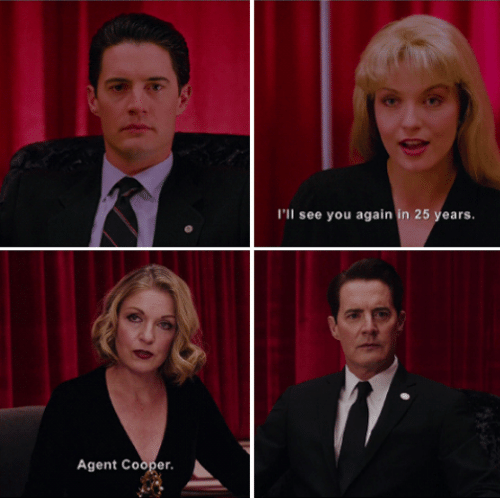 Twin Peaks came back to television and threw us right back into that weird, hilarious, and uncanny world that had left us all so long ago. And I love it. Honestly it’s great. I was too young to watch or appreciate the show when it was first on television, but I discovered it several years ago – both seasons and the sort-of-prequel sort-of-sequel theatrical film that followed – and it struck me right in the centre of my brain with its compellingly bizarre characters and thick hidden mythology. The Return is weirder than the original Twin Peaks ever was, full of metaphysical puzzles, grizzly murders, and talking electric tree-things, and I wasn’t kidding when I said that I can’t stop thinking about it. I’m super into it. Borderline obsessed. So when I tell you that Twin Peaks: The Return is part of a media phenomenon about which we should be very, very worried, please don’t misunderstand me; I’m not dissing the quality of these things. But sometimes good things happen for bad reasons. And this is one of them: the recent explosion of movies and TV shows coming back years or decades after ending the first time is a symptom of a serious cultural problem with which we need to come to grips. Fast. Not too long ago, reboots were all the rage; taking beloved old movies or TV shows and recreating them for instant audience recognition with little to no creativity required. “Hollywood is out of ideas!” we all shouted. And, sure, Hollywood is out of ideas. With the reboot seemingly played out, we may use the same reason to explain the age of the media revival in which we now live. I’m sure that’s part of it, but it’s not the whole thing. The truth is more insidious than that. But it – the truth, that is – is out there. The revival itself isn’t a completely new thing, of course. Star Trek: The Next Generation may be the best example of this, bringing the classic Star Trek (1966-1969, plus some movies) into a new century and spawning two spinoffs (Deep Space Nine, 1993-1999) and Voyager (1995-2001) and a prequel series (Enterprise, 2001-2005) before closing up shop again for a while. Allegedly there were also some Star Wars movies made between Return of the Jedi and The Force Awakens, although nobody I know has ever seen them and I can’t find any evidence of their existence. But the modern revival may more directly trace its roots back to Doctor Who, which originally ran from 1963-1989, with a TV movie in 1996, returned in 2005, and is still ongoing. Rather than start all over from scratch – i.e. reboot – showrunner Russell T. Davies chose to make this new Doctor Who series a direct continuation of the previous one, to embrace the contradictions that inevitably pile up over twenty-six years of a show, and pick it up again with some time having passed but with everything still basically the same as it had been when we last saw The Doctor. Full House (1987-1995) spawned Fuller House (2016-Present). Beverly Hills 90210 (1990-2000) became simply 90210 (2008-2013). Boy Meets World (1993-2000) produced Girl Meets World (2014-2017). 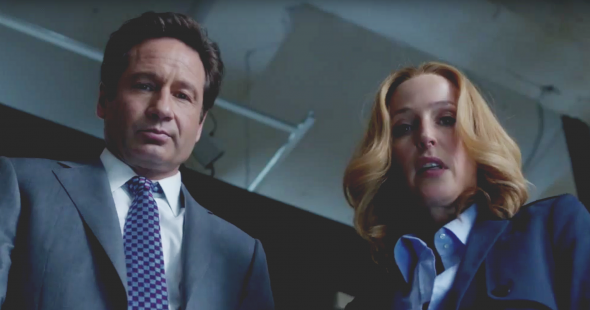 The X-Files (1993-2002) was vindicated at last in 2016. Gilmore Girls (2000-2007) resumed the banter with Gilmore Girls: A Day in the Life (2016). Will and Grace (1998-2006) and Roseanne (1988-1997) are coming back too, and a new Star Trek TV series is nearly upon us. Defunct movie franchises have also been getting resurrected. The Mad Max series consisted of three movies (1979, 1981, and 1985) until Fury Road (2015) fully twenty years after the most recent film. The Indiana Jones trilogy (1981, 1984, 1989) became a tetralogy in 2008, and will turn into a pentalogy in 2019, probably eventually evolving into a hexalogy, heptalogy, octalogy, and perhaps even – God help us – a nonalogy. Speaking of 2019, that’s the year in which Blade Runner (1982) is set, with the sequel, Blade Runner 2049, scheduled for release in 2017. Got that? 1982 is to 2019 as 2017 is to 2049. There’s an SAT question for ya. Star Wars, of course (1977, 1980, 1983, 1999, 2002, 2005, then 2015, 2017, 2019, and every two years forever thereafter). 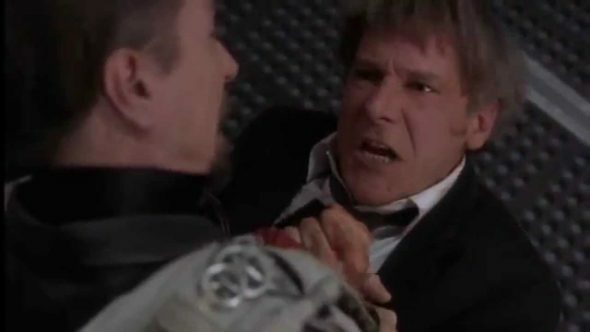 One wonders if Harrison Ford is just going back and revisiting all his old characters to (spoiler) kill them off. What’s next? Air Force One 2? Sylvester Stallone might be doing the same thing. Rocky Balboa (2006) happened sixteen years after Rocky 5 (1990), and thirty years after the original Rocky. And Rambo did it too – the first Rambo movie, First Blood, came out in 1982, followed relatively quickly with two sequels (1985 and 1998, which were not, for some inexplicable reason, called Second Blood and Third Blood), but then lay in wait for ten years until Rambo (2008). The Alien franchise (1979, 1986, 1992, 1997) hibernated for fifteen years until Prometheus (2012) unfortunately happened, followed by Alien: Covenant (2017). It took Bridget Jones (2001) three years to get married (in The Edge of Reason, 2004) but twelve years to have a baby (2016). The prequel series to Wet Hot American Summer (2001) came out in 2015 (Wet Hot American Summer: First Day of Camp, with the original actors, fifteen years older now, of course, playing versions of their characters even younger than they were in the original movie; a sequel series followed in 2017. Even Trainspotting (1996) got a sequel (2017)! Okay, so it’s a trend. So what, right? There’s no correspondence in the artistic quality; some of these revivals have been fantastic and others were trash. All the other metamedia that have noticed and commented on this have concluded that it’s just, as aforementioned, an outgrowth of the reboot thing, a result of studios’ creative bankruptcy, that they’re looking for built-in name recognition in lieu of taking chances on new properties. That’s a part of it, but not the main part. Because I’m not interested right now in the creators’ side of things, but the audience’s. Why are so many people so desperate to return to stories and characters that were supposed to have been over ten or twenty or more years ago? Twin Peaks has an excuse, and, to a lesser extent, X-Files. Mysteries were left unsolved. We want answers. But Fuller House? Really? Is it nostalgia? Yes, it’s nostalgia, but less so than you might think. There’s comfort in familiarity, for sure, but if it was only that we’d be content simply to watch the old stuff over and over again. It’s something more than that. Something darker than that. And it has to do with the distinction between the epic and the saga as distinct storytelling forms. This has been discussed before on the podcast and the Overthinkers described several narrative qualities that differentiate the two forms. What I want to focus on here is that an epic follows one character or one group of characters who perform a difficult task over a finite period of time and are transformed by the experience; a saga, the other hand, typically traces the progress of a family over multiple generations – usually three, but sometimes many more (the novel One Hundred Years of Solitude by Gabriel García Márquez, for instance, follows the Buendía family for seven generations). For a long time, modern western popular culture has primarily been concerned with the epic. Most books, movies, and television shows were structured as epics (the word episode – the primary narrative sub-unit of a television series – and the word epic both derive from the Greek word epikos, meaning a word or a song). The major exception to this is the soap opera genre; many soap operas aired new episodes daily and persisted for decades by changing the focus of the narrative from one set of characters to their children and even grandchildren. Serialization in television outside of the soap opera is a fairly recent phenomenon; the vast majority of American television was episodic, in the sense that at the end of each episode the characters usually return to the status quo – lasting changes are exceptional, and really major changes are often saved for the series finale. That is, the arc of the show is a gradual process of overcoming small obstacles to the end of completing a life’s task by the conclusion of the series – whether or not this final task ultimately ends up completed. Epics can also be tragedies. Think of long-running shows in diverse genres such as Gunsmoke (a western that ran from 1995-1975), Law and Order (a police procedural that ran from 1990-2010), and Frasier (a sitcom that ran from 1993-2004). In general, each episode follows the pattern of the presentation of some threat to the status quo, characters struggling against this threat, and a restoration to normality at the end. Despite the very long runs of these shows, generally they all focused on a group of characters for whom change was incremental. When the time came for the show to conclude, the send-off would generally be some major transformation (in comedies this is usually a marriage; in dramas, frequently the death of at least one major character), but sometimes even then the status quo would still come back. Twin Peaks was an early experiment in serialization, and explicitly acknowledged its debt to the soap opera with the recurring appearance of fictional show-within-a-show “Invitation to Love.” A bit later, shows like Star Trek: Deep Space Nine, and to a lesser extent Buffy the Vampire Slayer also added elements of serialization to their format, until today, when practically every show that isn’t a procedural is heavily serialized. Should be noted here that the distinction between the epic and the saga isn’t a strictly binary one. An epic can include elements of sagas, and vice versa. There is some grey space in there. A show like Twin Peaks was completely serialized but did not cross the border from epic to saga until The Revival picked up the story twenty-five years later. 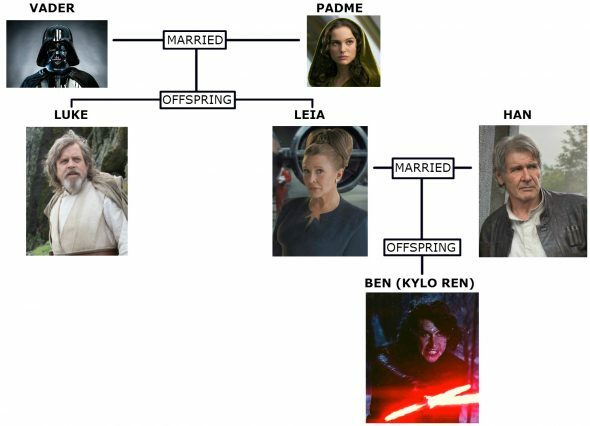 Star Wars similarly; the original trilogy was pure epic, the alleged prequels added additional saga-like aspects, but it was not until The Force Awakens, with the introduction of Kylo Ren and Rey (at least one of whom, and probably both, is third-generation Skywalker) that the series became a true saga. And so we come back to Full House. Structurally an epic with an episodic format, it was about one family gradually overcoming a formidable obstacle – that is, three single men trying to help three young girls successfully navigate from childhood to adulthood in the absence of their mother. 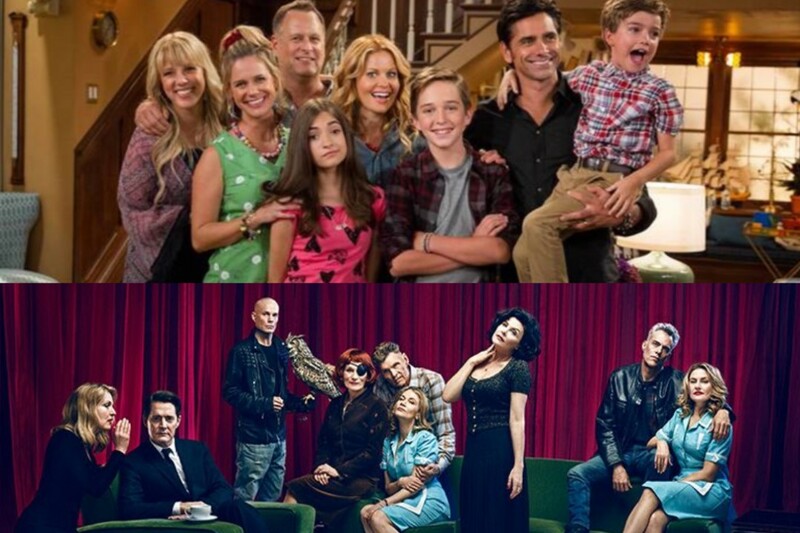 With Fuller House, the cycle now repeats, with variations (and cyclical repetition is another trope characteristic of the saga): the children have grown up, the oldest daughter has children of her own; when her husband dies, she enlists the help of her sister and best friend to help raise them, just as her father got his brother-in-law and best friend to help raise them. The epic has become a saga. The epic, with its single narrative transformation that either restores a previous order or else establishes a new and more stable order, appeals to our desire for comfort in familiarity. So what about the saga? The saga appeals to our desire for comfort in continuity. The notion that, even though things will change and the generations will turn over, ultimately the world goes on. And that’s why today’s audiences are so hungry for revivals of beloved narratives that pick up a generation later than where they left off. We need that kind of comfort, the comfort of continuity, more than ever before. Because as a society we are increasingly of the belief that we’re getting close to the end. Of our civilization, if not our whole species. So the epidemic of franchise revivals, I think, is mainly about reassuring us that the worlds we once inhabited have indeed continued even while we weren’t watching them. The simple fact that the small town of Twin Peaks, or the San Francisco that the Tanner family inhabited all those years ago, are still there – changed, certainly, but sufficiently embedded in reality for a new generation to have been born and grow up – provides a sense of continuity that’s harder to emotionally justify in real life. Even during the height of the Cold War things were not quite like this; at least back then, most people in the west not only wanted their way of life to go on, but believed that it deserved to go on. Today that’s not as true. Whether it’s climate change or nuclear war, neofascists or religious fundamentalists, there is an increasing and undeniable sense that a profound rupture is upon us. So let’s all sit back and watch Twin Peaks. Because honestly, it is really, really good, you guys. As the mods know, I will use any opportunity to discuss my beloved 24. I was quite meh on the Kieferless 24 Legacy, and not just because of the lack of a compelling lead. 24 captured a very specific time and mood in history, specifically the 00’s. To me that show felt a certain way that can’t be duplicated. What are your thoughts of the continuation of series that were cancelled then resurrected without a big in-universe time jump, such as Family Guy and Futurama? Obviously rebooting a live-action series after a long time off air would have to account for the actors having aged, but the Futurama return in particular seemed like an obvious example of what you were describing but didn’t get brought up. IIRC, Futurama was brought back by fan demand. The fact that cartoon characters don’t age (unless TPTB want them to) is helpfull. This may explain why I was so surprised to discover that the new Incredibles movie will NOT involve the characters having aged since their first appearance in 2004. A rare example of a long anticipated franchise sequel that bucks this epic-saga trend? I’d like to point out one example of a revival that kind of does the opposite and turns a show from a saga to an epic. That’s the 5th and last season of Samurai Jack that was just released a few months ago. In its original incarnation, the show was extremely episodic, but played out as a saga as Jack went on quest after quest looking for something to send him back to the past to be able to defeat Aku. In each episode he would meet new characters who, very often, were transitions into whole worlds and stories of their own. Often, after Jack helped them, the characters’ would break out of the status quo of Aku’s oppression and fundamentally changed the fabric of the show’s world. Often times, you’d see the character that Jack helped later in their new status. After about a season there are plenty of episodes where Jack’s just trying to help people or on a mission not related with trying to go back in time. About three seasons into the show, there’s an episode that more or less tells the audience that Jack won’t be able to return for many years. It makes it obvious that there’s no real end in sight and that one is watching a saga, not an epic. Although in one sense every episode ends by going back to the status quo of Jack still being in the future, it makes it clearer that the bigger status quo of an Aku-less history is farther and farther away. Then, the 5th season begins by even more aggressively returning to the status quo. Although this last season is told in a serialized format, unlike the earlier seasons, it starts by making it clear that all the time portals are destroyed, that Jack doesn’t age, that Aku is still firmly in control of the world, and even though Jack’s helped plenty of people and changed their lives, the overall “world” is very much similar to the moment that Jack got dropped into the Aku controlled future in the first episode. In fact, what becomes most obvious, is that the thing that’s most changed is Jack himself (and maybe Aku to some extent, too, actually). The 5th season as a whole is used to bring an end and a resolution to the story of the character and his rival. There are hints of other generations, and new heroes and villains, etc. But they are there in service of Jack’s character arc and his battle against his great enemy. Even many of the old characters return to get one last bit of resolution. Though these characters do in fact have descendants, it is the resolutions to their storylines that are most emphasized. It turns the last 4 seasons, which had been a sprawling somewhat meandering narrative without a clear end point, into a neatly wrapped plot that resolves most of its characters stories. And, by bringing Jack back to the past and killing Aku, it returns the world to the status quo that was happening before the first episode. The latest SJ looks beautiful Sadly, I can’t get it in Canadian broadcast or Canadian Netflix due to byzantine likening rules, and I have lost the courage to use torrents. It’s quite excellent. It’s interesting what they do with the differences of being on Adult Swim (where they don’t have to be “safe” for children) versus regular Cartoon Network. I watched it directly on Adult Swim’s website. Not sure if that would work in Canada. Also it never makes sense which episodes are “locked” and need a cable password and which don’t. But, thought maybe it’d be worth a try? Thanks for the ssuggestion. Hopefully it will show up on Canadian Netflix at some point. The new Twin Peaks is full of *grizzly* murders? How many of the poor beasts are slaughtered?